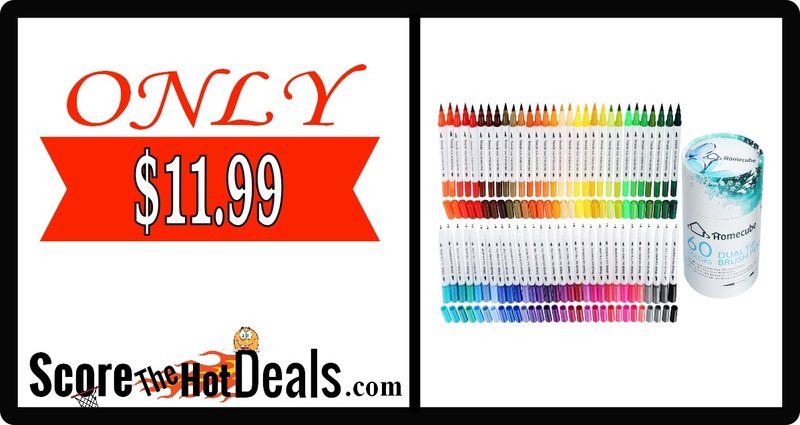 EXPIRED: *NEW PROMO CODE* Magic Doodle Water Drawing Mat – ONLY $9.59! 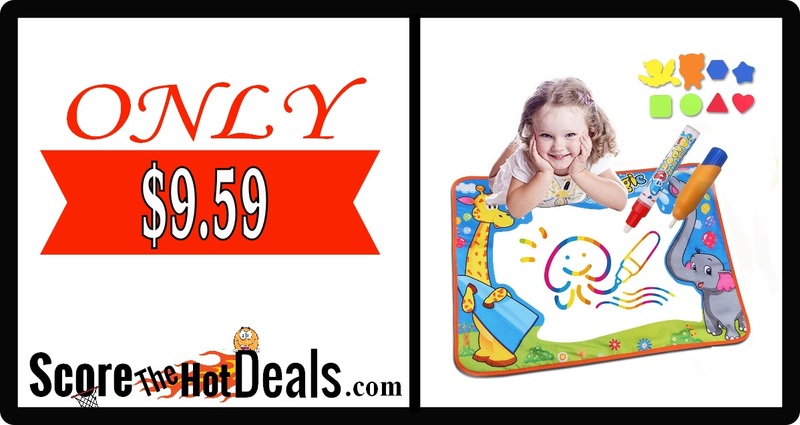 *NEW PROMO CODE* Magic Doodle Water Drawing Mat – ONLY $9.59! 【LARGE SIZE】- Size: 29.5x 20.4 inch. Enables your kids to paint on the desk or floor or grass with their friends together. baby not only doodle anywhere , but also can play on like a baby cushion to protect your baby’s knee，it can be folded to compact size, portable for indoor outdoor and travel. 【EASY TO USE】 – Do not need any paint,just Fill the pen with clean water and draw on the mat. Magically disappear after 3-10 minutes (depending on the temperature and air flow), kids can draw on doodle board mat again and again. Non-toxic, Non-polluting. 【ENVIRONMENTAL PROTECTION】-You don’t need to waste the papers and you don’t have to worry about kids will coloring the wall,bed,door,everywhere!Never make a mess, clean and safety for babies and children. The back of the mat is water-resistant nylon material, no worry about wetting the floor. Environmental Protection, no ink, no paint. Head on over to Walgreens through 3/28/18 and score this deal on a Free 8” x 10” Photo Print for FREE (Reg: $3.99) by applying promo code EASTERPIX at checkout. Choose FREE In-Store Pickup at your nearest location to avoid shipping fees! NEW Printable Coupons! Save on Candy For Easter + MORE! WOW! 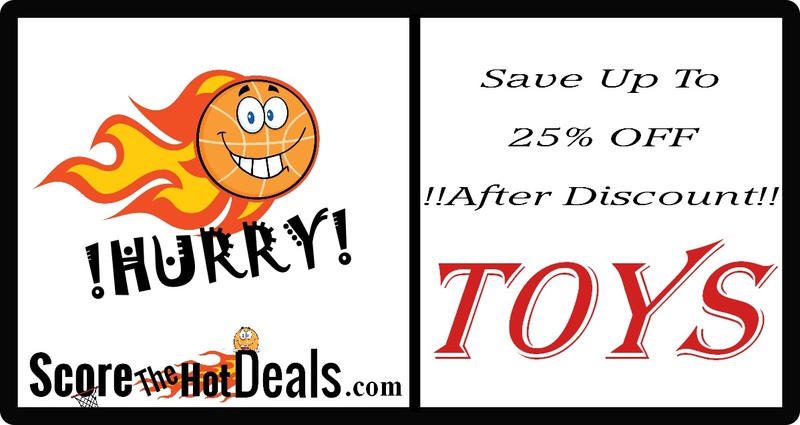 In the past couple days there have been a BUNCH of NEW printable coupons added! Way too many to list individually, so we have compliled them into one post! Be sure to print them while they last! Many of these would make for some GREAT discounted Easter Basket stuffers! Simply click on the image below for the coupon you would like, be sure to have the coupon printer installed and enjoy!! Spend & Save On Toys – At Target! Hop on over and score up to 25% off of toys at Target! Get $10 off of your order of $50 or more OR $25 off of your order of $100 or more! Spend & Save On Toys from top brands such as Melissa & Doug, Barbie, Play-Doh, Hot Wheels & more! PLUS score free 2 day shipping on orders over $35 or opt for free in store pickup to ensure you can use those savings to stuff those Easter baskets! 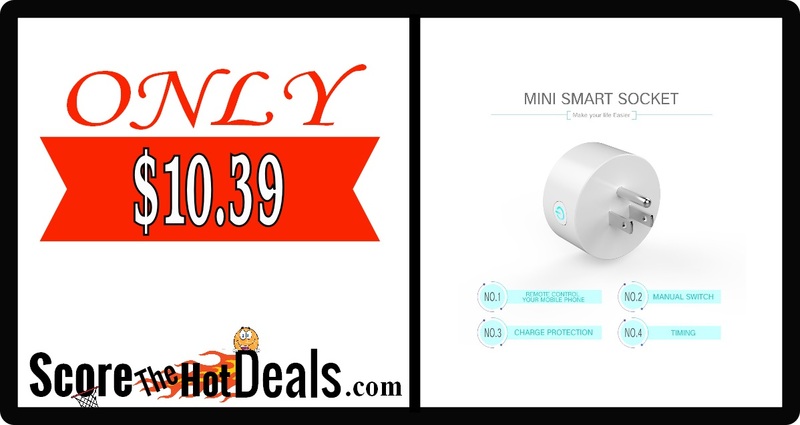 EXPIRED: *AMAZON PROMO CODE* WiFi Smart Socket Plug – ONLY $10.39! *AMAZON PROMO CODE* WiFi Smart Socket Plug – ONLY $10.39! SUPPORT AMAZON ALEXA VOICE CONTROL: The Smart plug can easily pair with Amazon Alexa, Echo, Echo Dot, Each Tap. Just control your household appliances with voice. TIMING FUNCTION: With this smart plug, you can work schedule for your devices.Then your devices will turn on or off at the time you have set.By the way,there is two schedule ways to choose,timming and countdown. CONTROL BY APP AND ENERGY SAVING: With this smart plug, you can remote control your devices at anytime and anywhere via your phone by App.And allow you control your devices automatically and smartly, avoiding the energy waste of your forgetting to turn appliances off. 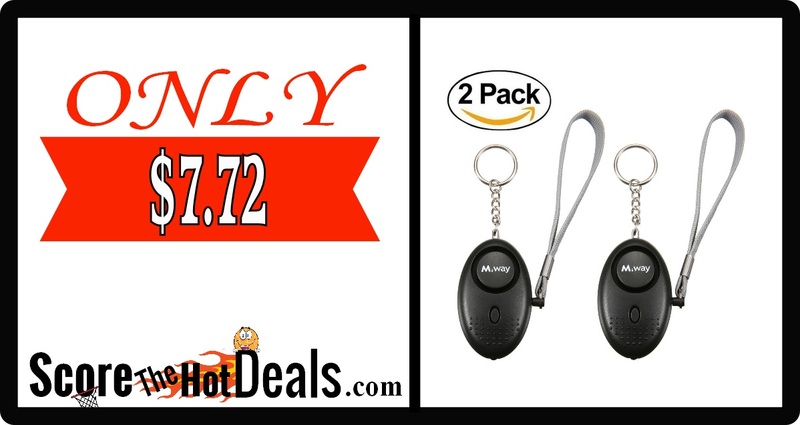 Personal Alarm Keychain (2 pack) – ONLY $7.72! Loud Sound:130dB Piercing safety alarm from this personal alarm can frighten away the attacker and draw attention for help.Make utmost efforts to serve for your security alarm.This Keychain also can work as a kind of safe anti-wolf device. LED Light:There is a button in the middle.Press it,the alarm can work as illumination for the night way, or to look for something.This alarm help you to deal with dark situation. Portable Decoration:This security alarm is portable and unremarkable that would not catch attacker’s attention.And you can use it as decoration for handbag,purse,key and other carry- on articles. How to Use:When you meet with attacker or stalker,you can pull out the safe pin at the side of the personal alarm.Then the alarm will burst out an alarm sound which will continue until the battery run out.If you want to stop the alarm,you just need to insert the safe pin back. EXPIRED: Sceptre 50″ LED TV – ONLY $199.99 SHIPPED! 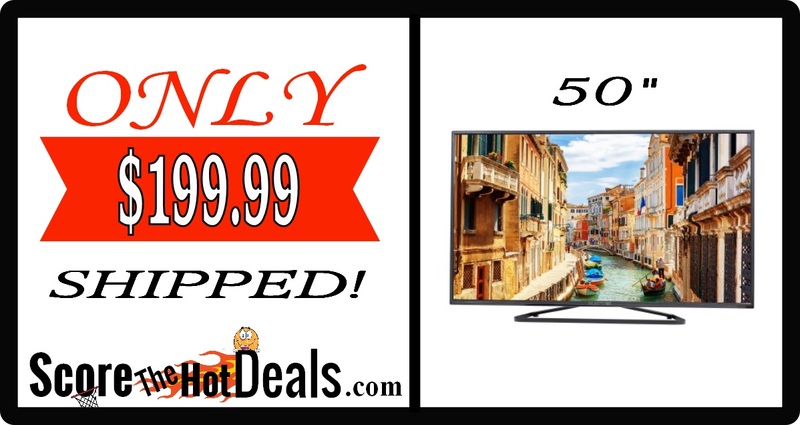 Sceptre 50″ LED TV – ONLY $199.99 SHIPPED! Yay! Could you use a new television?! Hurry on over to Walmart while supplies last and score a Sceptre 50″ LED TV for only $199.99 on clearance! This is regularly $499.99 and shipping is FREE! EXPIRED: Westcott iPoint Ball Battery Pencil Sharpener – ONLY $3.94! 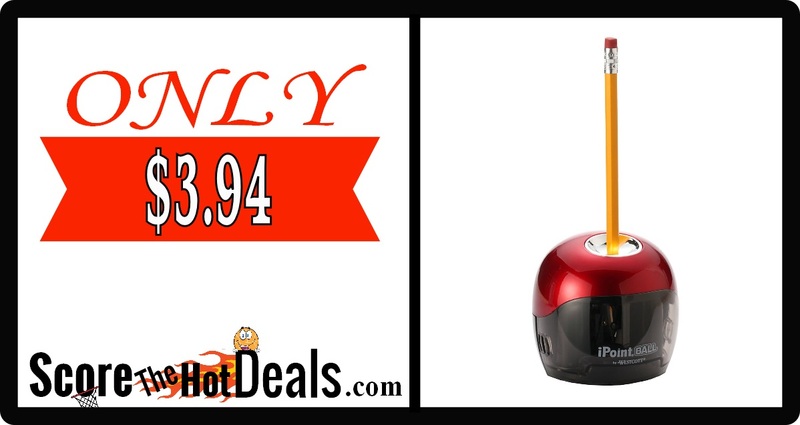 Westcott iPoint Ball Battery Pencil Sharpener – ONLY $3.94! 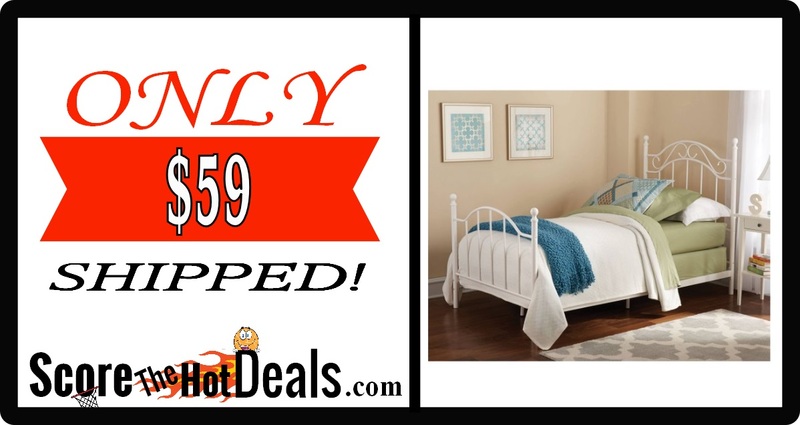 EXPIRED: Mainstays Twin Metal Bed – ONLY $59 SHIPPED! Mainstays Twin Metal Bed – ONLY $59 SHIPPED! Check out this amazing price on a new twin bed!!! Hurry on over to Walmart while supplies last and score a Mainstays Twin Metal Bed for only $59! This is regularly $99+ and the best part is shipping is FREE!